- Fashion Ecstasy on 五月 10, 2016. 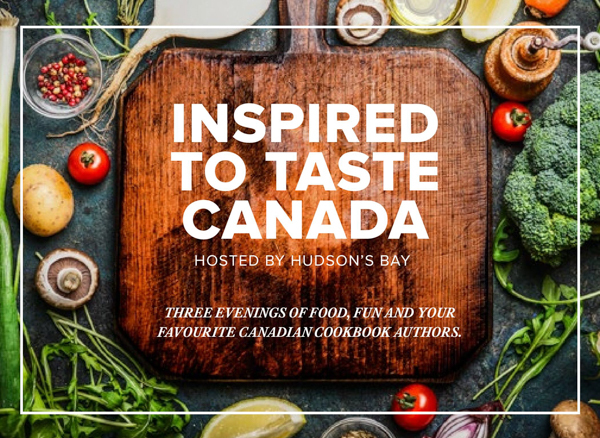 Join us at HBC Presents: Inspired to Taste Canada, three nights of food, fun and mingling with some of Canada’s top cookbook authors. Attendees of the event will have the chance to purchase an autographed copy and enjoy food tastings, demos, and drinks. 1. A 10-piece ALL-CLAD stainless steel cookware set (valued at $850 CAD). 2. A pair of tickets to the Taste Canada Awards night that is taking place in November (valued at $200). 3. An experience with Mairlyn Smith behind-the-scenes at the Cityline studio and a seat in the audience for the show. So pick a night and join the fun!